Dr. Jessica Vredenburg is a Senior Lecturer in Marketing at Auckland University of Technology. She completed her PhD in Marketing at the Melbourne Business School, University of Melbourne in 2014. She also has a background in Sport Psychology and Kinesiology completing her Master of Science in Sport Psychology at the University of Calgary in her native Canada in 2007 and Bachelor of Science in Mind Sciences in Kinesiology, also from the University of Calgary, in 2005. Jessica worked previously as a Marketing Manager for Lululemon Athletica, a Vancouver, Canada-based international retailer of yoga- inspired athletic apparel. After completing her PhD, Jessica held an appointment as Lecturer in Marketing at the University of Melbourne before joining AUT. 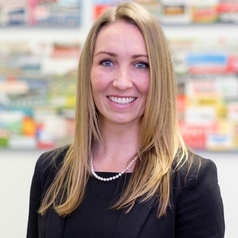 Based on her diverse background, Jessica’s research interests and projects span professional service and relationship marketing, branding and sport marketing. She is currently working in the areas of frontline automation, brand activism and sport sponsorship.